Monsoon is equally loved by all. One of the many things brought to us along with monsoon is damp and sticky skin which every one of us hates. Our skin tends to get oily all the time because of excessive sweating which might provide the suitable condition for microbes to grow and multiply. This can cause irritable itchy skin. Here’s how you can combat every skin related problem during monsoons. As we all know during monsoon our skin gets sticky and oily. So the first thing you have to take care during monsoon is to at least clean your face at least 3 times a day which would help you to get rid excessive oil and dirt which adheres to the skin and provide a suitable breeding grounds for various germs and infections. Wash your face with oil control face wash during humid weather. Many times we are in a hurry and can’t wash our faces immediately and then our regular handkerchief comes to the rescue. I would recommend you to use wet facial wipes instead, which keeps your skin hydrated and believe me, you’ll feel your face fresh, clean and nicely scented. Apply sunscreen 15 minutes before leaving your house evenly all over your face, neck, hands and all the areas which are exposed to the sun. No matter if it’s cloudy, stormy but UV rays are always present and that is why should be extra cautious during monsoon. 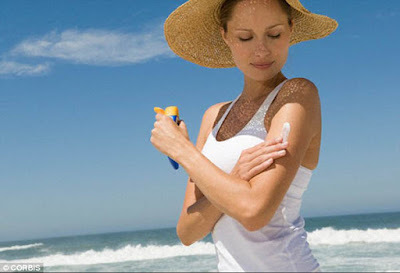 It is also believed that direct exposure to the sun in monsoon affects complexion adversely. Use a sunscreen with SPF above 30. In the rainy season, people tend to sweat a lot because of humidity. Make sure you get ample of water to nourish your skin. Drink at least 8-10 glasses of water daily. It also helps in flushing out toxins which keep your skin healthy inside out. 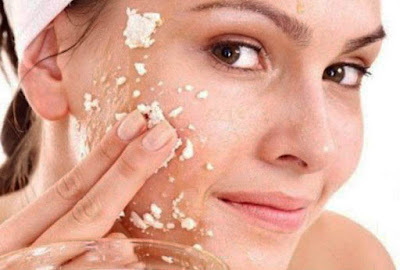 Scrubbing could help you to open clogged pore and get rid of the dirt and impurities which penetrated in your skin with time. Green apple gentle scrub is an easy and effective way to get rid of these stubborn blackheads or any other dirt particles. Take orange peels and grind it with milk to make a fine paste. Add one tablespoon of sandal wood powder and apply this to your face and neck twice a week. This face mask would lighten your complexion, make your skin younger looking and healthy. This face mask rejuvenates your skin. 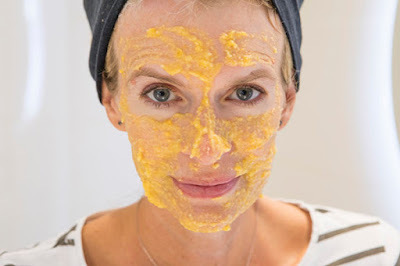 Try this amazing face mask today, you will definitely thank us later. Taking care of your skin during monsoon may seem difficult. But I am sure if you try these simple home remedies your monsoon will be a lot better. Try these simple steps and embrace this amazing season without having second thoughts.